At first glance, I’m inclined to support 3 of the 4 bills without hesitation: A4188, A4110, and A4195. I do have some concerns relating to A2436, which requires newly-hired School Transportation Supervisors (or those with less than 11 years experience) to take a specific training program at Rutgers University, and requires that the Supervisor bear the full cost of the courses. 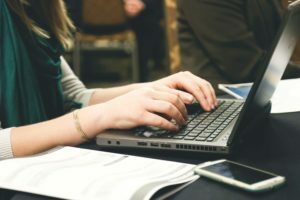 I would like to know if the course can be taken remotely, for those supervisors who do not reside or work in close proximity to RU, and would like to see some wording added that will allow for the reimbursement of the cost of the course if the Supervisor remains employed at the school district for a specified period of time (three years maybe?). UPDATE: another bill was added to the agenda by waiver: A4224, which calls for the Commissioner of Education to do a study on the safety of school buses under certain emergency situations. All 5 of the bills were released from the Committee this morning. Unfortunately, there appears to have been a problem with the audio recording, since it lasts only 3 minutes, so none of the discussion on the bills is available to the public. 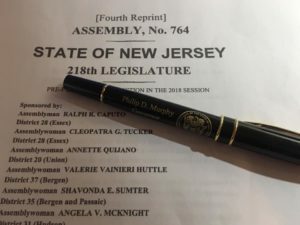 No one voted No on any of the bills, but Assemblyman McGuckin did Abstain on A1888 and A4110, and Assemblymen Bucco, Clifton, Giblin and Wemberly were not present and did not vote. The rest of the bills were released unanimously, 9-0-0. 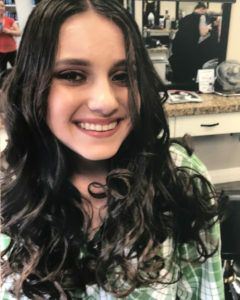 NJ Senate to Vote TODAY on Alyssa’s Law!